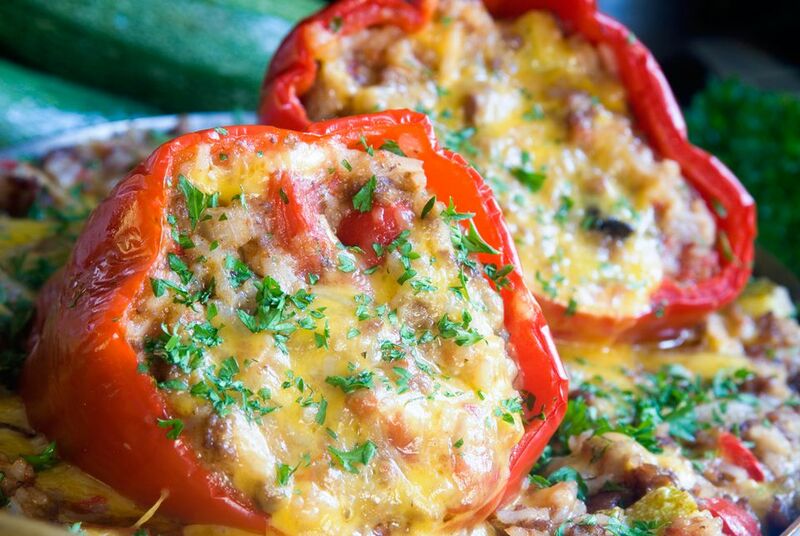 Tuna and bread crumbs provide the savory filling for these stuffed peppers. A little lemon juice adds extra flavor to the tuna mixture. Boil peppers in boiling salted water for 5 minutes; drain well. Combine onion, 1/2 cup bread crumbs, egg, milk, salt and pepper, lemon juice, and tuna. Mix melted butter with remaining 1/2 cup bread crumbs; sprinkle over stuffed peppers. Place in a shallow baking dish at 400° F (200° C/Gas Mark 6) for 15 minutes. If desired, top with shredded cheese 5 minutes before the peppers are finished baking.